Ilgın Acar took an Erasmus+ Internship at the University of Porto, actively engaging in a database called She Thought It at the Institute for Comparative Literature Margarida Losa. Her research covered mostly women scientists in the 20th Century.. She also worked on the strategies for creating awareness on gender inequality through social media, supporting the priority of women in STEM fields and in all workplaces. She lives in Istanbul, Turkey. 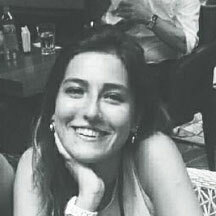 She is currently studying English Language and Literature at Istanbul Kültür University.